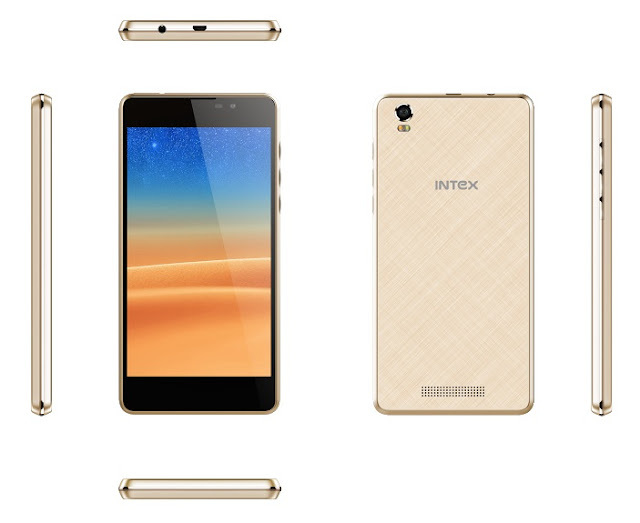 There are two different specification Smartphone released recently by well known Indian consumer product manufacturer Intex, the first one is Intex Aqua HD 4G Smartphone and the second one is all about Intex Aqua Power 4G Smartphone to tease other Smartphone around. Yes, Intex never behind on chasing the competitive Smartphone market and they release almost advanced features as high end device on-time with reasonable price by maintaining premium quality of the gadget. If you are looking to buy a cheap and best Smartphone then you need to check this gadget detail to get benefit out of it. Aqua Power 4G comes with 1GB RAM and an 8GB ROM with expandable option. It is powered by Android 6.0 (Marshmallow) and this phone has a 5-inch HD display for quality image output. This is budget smartphone of course though it has high end specs. Aqua Power 4G gives an unmatched experience to play high end games and also enables multitasking. It has powerful 3800 mAh battery that gives 200 hours of standby time and 18 hours of talk time. It has of course WiFi features too. If you are a game lover then you can get your choice of Smartphone over here, yes, it has enough power to download and play the game on the go. Intex Aqua Power 4G device also offers a powerful 8MP rear camera with LED Flash and 2MP front camera to capture vivid images. The camera and screen resolution is all about 720*1280. Aqua Power 4G Price: This is one of the budgeted Smartphone, yes it is available at an appealing price of Rs. 6,399/-. If you are interested to buy a budgeted high end HD smartphone then go with Intex Aqua Power HD 4G Smartphone that comes with Rs. 8,363/-. Note: You would find Aqua Power 4G Smartphone review anytime soon over here, till then stay tuned.